Seeking Solitude where sea and sky become one. 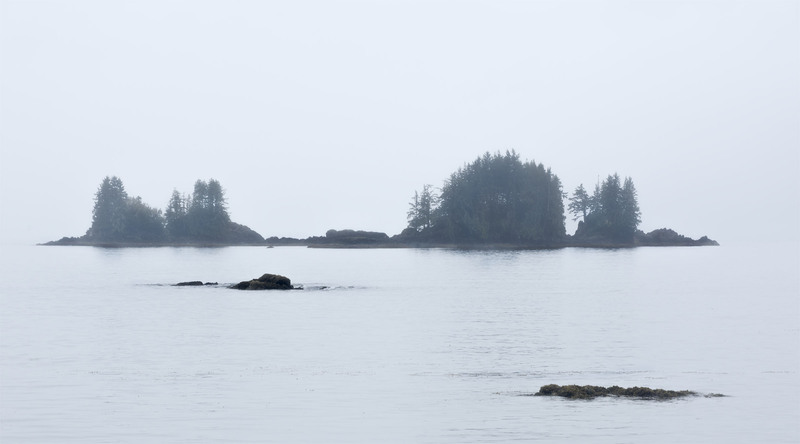 A foggy morning in the the Acous Peninsula made it easy to feel the solitude we set out to seek in this magnificent place.The sea and sky were both a silver grey and the trees a greener shade of green. Photographed on a kayaking trip in 2015. Floating sounds like a fine idea today. That’s how they get the idea for Bonsai. Beautiful! We’re just a little south of here right now, enjoying a few quiet days on the west coast. Some sun, a lot of rain, but about perfect. Enjoy your weekend! I will have to say I am a bit jealous as I am in need of an ocean fix right now. Have a wonderful time out there and stay dry. Or better yet get cold wet then get warm and dry. Hi and thanks. Calming is a great way to describe that area. Quiet, calm and rejuvenating. Hope you have a great weekend and thanks for taking the time to leave a little feedback as we really appreciate it.